The Federal Government’s official response to the Senate Rural and Regional Affairs and Transport Committee inquiry into consolidation in the red meat processing sector, which was tabled just before Christmas, has met a mixed reaction from cattle producer groups. 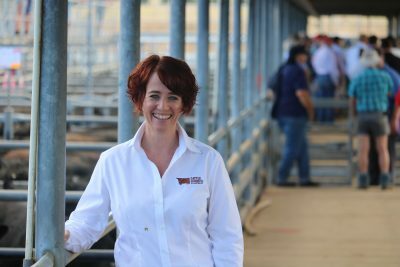 Ms Andrae said Cattle Council supported Australian Meat Industry Council CEO Patrick Hutchinson’s view that the days of ‘producer versus processor’ are long gone. Chair of Cattle Producers Australia (CPA) Dr Paul Wright issued a statement today following the Australian Government’s recent response to the Senate RRATR Committee Second Interim and final reports into ‘The Effect of Market Consolidation on the Red Meat Processing Sector’. 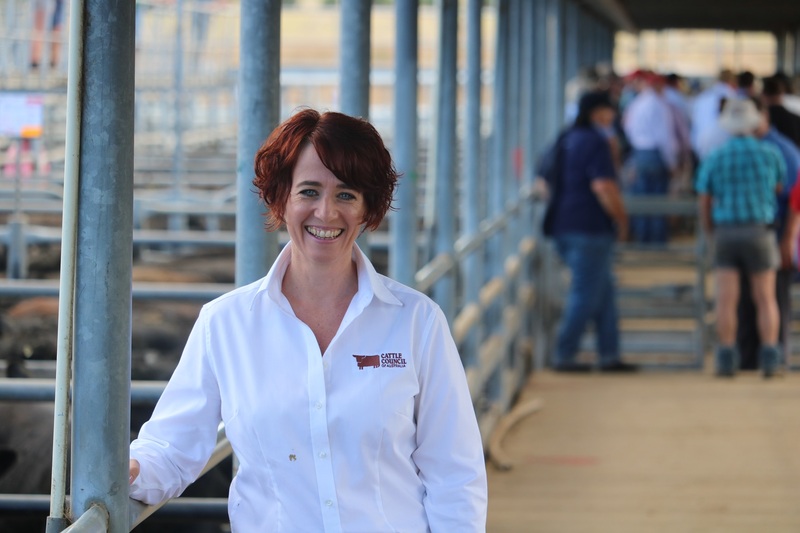 Dr Wright acknowledged the Government’s assessment of the Senate Committee Report and their recommendations commending their support for the current review of the Red Meat Industry Memorandum of Understanding (MOU). However, Dr Wright was apprehensive of the Government’s position on the Senate Committee Final Report Recommendations in respect to industry representation, pre and post-sale weighing and the development of Industry Standards of Practice with respect to all sale transactions are a matter for industry, as there has been a serious lack of action from Red Meat Peak Industry Bodies to address these issues. Recommendations 4 and 5 of the Senate Committee’s Report urged Government to provide support and financial assistance for the sector to implement a new transparent and accountable producer-owned body to replace CCA as the grass-fed Peak Industry body and that the government recognise the new organisation as the Peak Industry Council as soon as it is operational and has a membership structure in place. CPA was incorporated last year based on a truly representative model developed jointly with the CCA in 2015 which was presented to the Australian Government at that time. The government expressed willingness to financially assist the establishment of a new organisation and subsequently announced a $500,000 grant in October 2017 for the purpose of providing seed capital and leadership funding. In January 2018 CCA resigned from the implementation process under instruction by their State Farm Organisations who were concerned about long-term operational funding and opposed to a truly democratic model. This suspended the grant funding. 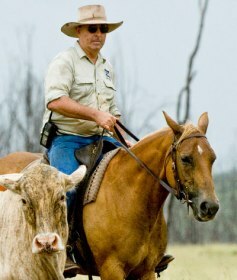 CPA has assured the Grass-fed Cattle Industry and Minister Littleproud that the door remains open to the CCA to re-join the Implementation Committee and Minister Littleproud has agreed to arrange a facilitated meeting to assist the mediation and if a unified position can be found the $500,000 will be made available and if this is not achieved, we would need to explore a plan B option. CPA is committed to ensuring that Australian Grass-fed Cattle Producers have a powerful and truly representative body as has been the recommendations of a number of Senate Inquiries. Q for Ed. How can I print these pages please? Hi Alice, thanks for your question – we’re very close, i.e. within coming days, to launching a site upgrade that will make it easier to print Beef Central articles, we’ll post an article letting readers know when that happens. In the meantime we’ll email you a copy of the article that you will be able to print. Kind regards, Editor. Currently cattle producers pay to have no say. Over $65 million per year is paid in levies and the entrenched peak industry structure and representatives are the only winners. Its unbelievable to think that the current councils representing grass-fed cattle producers are in favour of importing beef from overseas. Pork imported from countries, where the pork produced is subsidised, has crippled the pork industry and the beef industry will be next, unless there is a change. The current system is upside down and it needs turning on its head, currently decisions are coming from the top down, instead of the grass roots up. We need to support Cattle Producers Australia (CPA), become a member and have a say to ensure the future of cattle producers for generations to come. That CCA supports AMIC in declaring that , “the days of producer versus processor are long gone””,shows an alarming degree of economic naivety, demonstrates their distance from the grassroots producer and their total capture by the bureaucracy in which they operate. For me, 2014-14 are not “long gone”. For the CEO to talk about “productivity and profitability”when the system that they are so determinedly integrated with has a Meat Industry Strategic Plan and a Beef Industry Strategic Plan which has barely mentioned profitability, and not producer profitability in years, is a nonsense. Like most of the political musings in this country they are more interested in our social responsibility as dictated by others whether informed or not, rather than profitability while allowing misinformation to flourish and destroy our industry piece by piece. 1. Stop managing projects for MLA and thereby remove the conflict of interest in their responsibility for overseeing how levies are spent by MLA. 2. Support a reduction in the grass fed cattle levy from the current $5 per head to $3.50 returning $1 per head to the producer and asking the producer to agree to pay a fee of $0.50 per head to CCA to fund their ongoing operations. This amounts to about $6 million a year and more than replaces the $1.25 million currently received from MLA. 3. Form a new company to be the grass fed cattle producer service provider to receive and manage the levies paid by grass fed cattle producers. Producers need to control levies collected on their behalf in like manner to live exporters and lotfeeders. 4. Restructure all SFOs into autonomous commodity state farming bodies as was enacted in South Australia in recent years. This led to improved farmer representation on Livestock SA and they are an organisation to which grass fed cattle producers are likely to be attracted. 5. Once the restructure is complete call for nominations to the board of CCA from grass-fed cattle producers across Australia. All grass fed cattle levy payers must be entitled to be members of CCA and have a right to nominate and vote for the board positions. When we have Livestock Victoria, Livestock NSW, etc, CCA will be in a position to work at the state and national level to advocate for all grass fed cattle producers. Reform is coming and CCA need to at last grasp the nettle and live up to the sound foundations established by their predecessors. CCA response just highlights just how out of touch they are, and they go on to say that they are on the right path of overseeing producer representation on a national level. Great stuff, however actions speak louder than words and one of the CCA’s main role is to oversee the MLA on behalf of grass-fed cattle producers, and in order to achieve this CCA accepts half of their income from the MLA in excess of $1 million. Producers pay in excess of $60 million every year to the MLA as a statutory levy. One could argue that CCA is totally compromised by this arrangement and if CCA treads on MLA’s toes then the $1 million plus could be withdrawn, leaving a big hole in CCA’s balance sheet. CCA says that it supports AMIC’s view that the day of producers versus processors are long gone. 2013-14 record prices for beef in overseas markets and processors could not help themselves pushing the prices for beef to record lows , resulting in processors making an absolute killing. Processors are hard-nosed business people and are very well connected through their individual lobbying and united approach, when you compare resources processors have as opposed to a dysfunctional CCA, one is left in no doubt. Another point is how many producers does CCA actually represents and how many are on the board of CCA? This is outrageous CCA resigned from the process that was going to give all grass-fed cattle producer levy payers an equal vote. This was jointly agreed upon back in 2015, firstly why didn’t our Government forward the $500,000 directly to CPA once it was incorporated as was determined in the Senate Recommendations. Secondly why wouldn’t CCA want to give all levy payers a say in their industry. It concerns me that our cattle prices have seen a dramatic drop in the last couple of months is there any guantees this reduction in price will continue & while we are unrepresentated we have absolutely no say. Why are we the only country in the world who have post sale weighing and limited Price transparency? The answer is because we have no say in industry matters! How does strengthening the processing sector improve producer representation? The overseers of the industry, cattle council Australia (CCA) and AMIC are promoting processing as a means of improve the industry as a whole but inquiries and reports have seen another approach is needed as industry only benifits from the processors onwards which has only gotten stronger as changes on a foundational level haven’t been seen. So if strengthening the processors continues as a means to improve industry as a whole, but with producers not seeing change from this decision is this really beneficial to the whole industry? The world has seen overseers profiting, while those that use their services are mislead. The article shows two responses, with CCA saying they want change but why did they leave the reform? With so much “branded” beef these days, we might be better off disbanding the entire bureaucratic beef industry and let the market decide what it wants the producers to do. MLA or CCA do not buy my cattle, but want to have their say on how I must manage them. How about letting the buyers tell me what they want. Like the EU buyers have their own set of requirements the producers must adhere to if they wish to sell into that market. The trouble with Australia is it is too wealthy. It thinks it can afford to have the low end producers fund the careers of those far far removed from any cow, steer or bull. Every step in this sorry saga has highlighted the ineffectiveness of Senate Inquiries in achieving change that supports the cultural and organisational change necessary to have an Industry Representation organisation that is one that has grassroots producers, able to have their input to the industry without the filtering effect that SFO’s and other interests are able to bring to bear. The Federal Government’s decision is a two fingers in the air to Australia’s beef producers and their legitimate and deeply considered concerns about these matters. It seems to me that their unwillingness to support and facilitate industry representative reform shows that they are more aligned with maintaining the status quo than being prepared to really allow the industry to sort out the situation. Two Ministers have now proven to be unwilling to give the support and facilitation that has been identified as being required in the Senate Committee Reports. All this time and effort and things are still a mess. I am absolutely astounded that CCA who have done the tantrum and left the reform process, can still be allowed to function and despite the clear recommendations that organisational structure and its performance have been found wanting by so many producers. Unacceptable, but not surprising: Disappointing but not surprising and a chance to change things that has been cast aside for all our detriment.